On a normal Wednesday night at 7 p.m., Tech Walkway is desolate and quiet, save for the sound of a random squirrel rummaging through the trash. The Campanile and Tech Walkway this Wednesday, however, was bustling with sights, sounds and smells as part of Georgia Tech International Ambassador’s (GTIA) Night Market, a cultural celebration combining street food, art, music and carnival games. 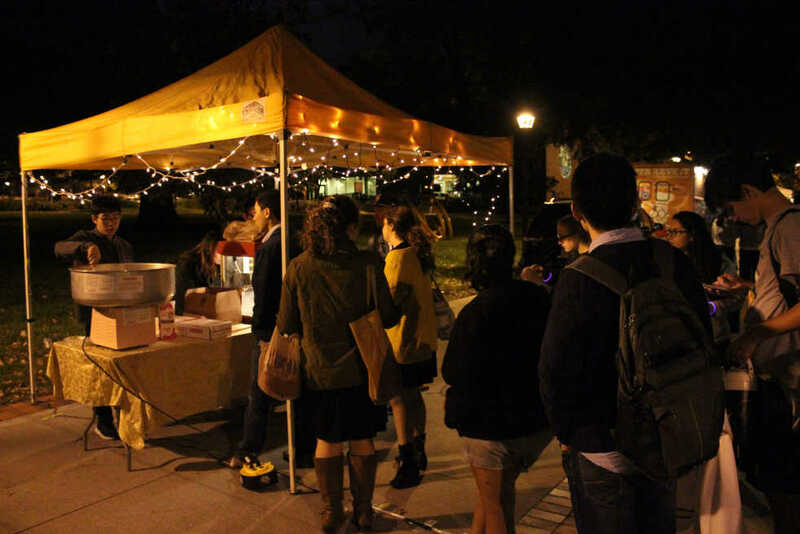 GTIA is comprised of around 60 undergraduate students who work closely with Office of Undergraduate Admissions and Office of International Education to recruit the smartest and best international students to campus and to organize events like the Night Market that seek to promote inclusivity and diversity. Night Market invited approximately fifteen different cultural organizations and charitable organizations. The event was comprised of performances from Capoeira, Taal Tadka, Hellenic Society, Mic Audio and GT Salsa. There was also a food truck, which offered foods from South America, Vietnam, France, Portugal, the Middle East and Jamaica. The Technique spoke with Rishab Datta, a second-year ME and Sudeep Agarwal, a second-year CS, the coordinators for GTIA’s Night Market. “One of our main goals was to celebrate international diversity here at Tech, and the best way we thought this could happen is through some activity that highlights the many facets of culture,” Datta said. Agarwal continued, commenting on typical GTIA events that focus on singular themes. The team behind Night Market was only eight members, so actualizing the event was a feat in itself. Other challenges included having a lack of storage space. Especially during this time of social unrest with the results of the election, celebrating diversity and inclusivity is essential. In the future, GTIA hopes to expand their Night Market to a larger number of people, as they were easily able to sell 200 tickets, and will hopefully work out logistical limitations.